Most of us shriek when we wake up and spot a pimple but for others it is a general everyday-appearance to experience many painful problems on the skin. Although there are many serious skin diseases and disorders, “problem skin” mostly refers to breakouts of pimples and excessive oiliness. 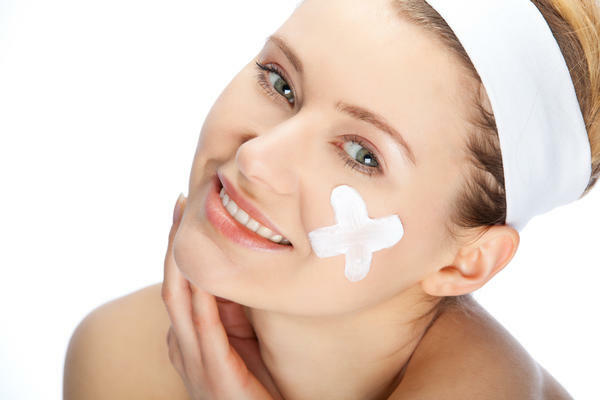 Teenagers and young adults suffer from problem skin the most, although some adults never seem to get rid of the problem. The reason for problem skin can be hormonal, your skin type or because of inadequate cleansing and treatment of the skin. No matter what the reason or how severe, having problem skin is something nobody wants to deal with. Pores can be blocked by oil, dead skin cells and bacteria. If the pore becomes blocked and stays open, it can have a black colour and these are called blackheads. If the blocked pore closes up, it causes a white looking bump and these are called whiteheads. Keep in mind that these blockages also contain left over moisturiser and other products and aren’t really that gross. These are bigger pimples caused when the pores’ walls have become too irritated and have broken. Papules are the red bumps that are hard, you probably won’t be able to squeeze them. Pustules are the red bumps that contain a yellowish pus fluid, like a blister. These are most commonly referred to as pimples or zits and are a bit harder to treat. If the pores become even more severely blocked and irritated, much larger nodules and cysts can develop on your skin and they also go deeper into the skin’s layers. Like papules and pustules, nodules are hard and cysts are softer and contain pus. These are more severe pimples and should be treated with caution, and possibly medical advice from a dermatologist. Oily skin is caused by the over production of sebum. It is more prone to blocked pores, blackheads and a build up of dead skin cells, due to its thicker and more rough texture, the pores are more enlarged. On the up side, oily skin is less prone to signs of ageing because of its ability to lock in moisture with an oil-layer on the epidermis. Acne can be characterised by the appearance of a lot of pimples including scaly red skin, blackheads, whiteheads, papules, nodules and scarring. It is inflammatory and spread across the entire face, possibly also the chest and back. The causes of Acne is due to changes in the function of the “oil-glands” (sebaceous glands) which affects the whole pore. These changes also require the stimulation of Testosterone. Acne occurs on areas of the skin that contain the most dense population of sebaceous glands (oil-producing glands). These areas are the face, chest and back. In some cases one may find cysts in the armpit, on the buttocks or in the groin. At Annique Day Spa, we can treat your facial skin and also offer the services of treatments on the back, including extractions. It is difficult to find quick-fix solutions for problem skin, but with the proper care and attention it can be treated effectively and also prevented. For more severe conditions, your therapist may advise you to seek medical attention. It is important to remember that one needs to follow a healthy balanced diet, regular exercise, drink enough water and get enough sleep – your skin works from the inside as well. Also note that some skin concerns could possibly be serious skin diseases or indications of other diseases. You should always see a doctor if you note any abnormal changes in your skin. Problem skin should not affect your life. Visit Annique Day Spa for a skin analysis, to determine which treatments can benefit you as an individual most. We also stock the above mentioned Annique products that have been tried and tested and trusted for 43 years. Make a change today and discover healthy, glowing skin.